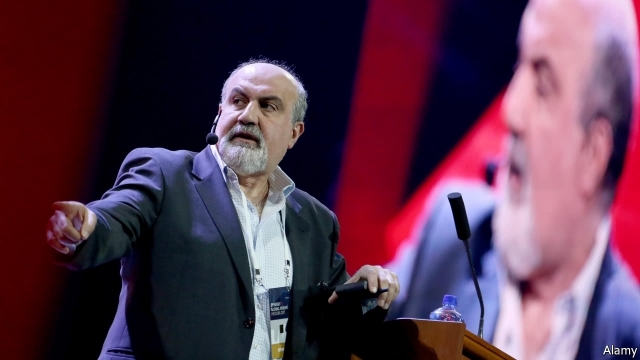 You might take a quick search into some of the writings of Nassim Nicholas Taleb relating to the idea. He mentions some of the benefits of being a flâneur interspersed in several of his books as side topics, but I’m sure he’s got to have an essay or two on the overall topic. He’s one of the people I’ve noticed using the word (in his case as a title which he might put as a profession on his business card) in the past 20 years who seems to have brought it to the social forefront to the point that many of your other references have been influenced by it. I think there’s a lot to be learned about the overarching idea, so I’m interested to see what you come up with on an extended survey of the word as you progress. I had hoped for more here, but it’s just a recap of things I’ve read in either their original incarnations or via other resources. Skin in the Game: Hidden Asymmetries in Daily Life. By Nassim Nicholas Taleb. Random House; 304 pages; $30. Allen Lane; £20. IN 2001 Nassim Taleb published “Fooled by Randomness”, an entertaining and provocative book on the misunderstood role of chance. I’ve enjoyed his prior books which I always felt rambled on a bit without a lot of real structure. This review makes me think he’s gone even further off the rails. While I admire and respect his work, it’s very painful to read. I’ve always thought it could stand a far stronger editorial influence to improve its logic and flow. I suspect that while his books sell, they’re not as widely accepted nor do they have the impact that they could have. I’m iffy on whether or not this one is worth the time.